We are expecting to see a number of devices at Microsoft’s press event tomorrow, which will include the new Microsoft Surface Pro 4 tablet, the Lumia 950, Lumia 950 XL and the Lumia 550. 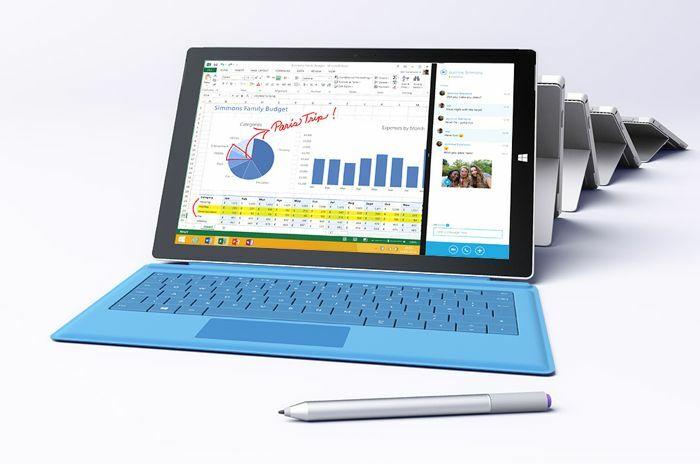 Now according to a recent report, the new Microsoft Surface Pro 4 tablet will be made available with two different display sizes. One of the Surface Pro 4 tablets will come with a 12 inch display, the other with a 14 inch display, both devices are said to have a resolution of 2160 x 1440 pixels. These new Windows 10 tablets are also expected to feature the latest Intel Skylake processors and will come with a choice of RAM options up to 16GB and storage options up to 500GB. We will have more details on the new Surface Pro 4 tablet and also more details on Microsoft’s new range of Windows 10 Phone smartphones when they are made official tomorrow.